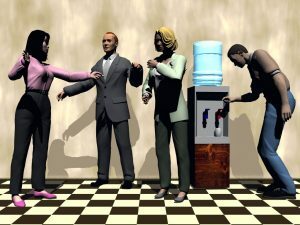 Employee Empowerment, in a perfect world might not be necessary. If employees would only take responsibility as if they were an owner or at the least, had a vested interest in the success of the company for which they worked. But it’s not a perfect world, is it? It is possible though, to create an employment environment where employees will take on responsibility. This is the activity all successful employers desire of their staff. Motivating your employees to become proactive rather than reactive is what you want, isn’t it? Getting them to do more than react like a snail on Valium when things need to get done, or offer creative new solutions are necessary elements for business survival. Past Labor Secretary Robert Reich commented on findings from a report the Labor Department commissioned which was conducted by researchers at Harvard, the University of Pennsylvania’s Wharton School of Business and Ernst & Young. The study cited companies like Motorola, which estimates that it earns $30 for every $1 invested in employee training. And Edy’s Grand Ice Cream, which credits its employee management system with reducing inventories 66%, improving productivity 57%, and lifting unit sales volume 830%. Participation and involvement is the first of the Partner to Empower elements. Like the muscles in our bodies, employees must exercise their abilities regularly to keep atrophy from setting in. The employee activities you must reward are risk taking, cooperation, mentoring, innovation, value-adding, and challenging. Acceptance of your employees as fully functioning, rather than apprentice human beings is the second partnering element necessary to Partner to Empower. This was brought to the attention of American management in the late 1920s and early 1930s by Harvard’s study of Western Electric’s Hawthorne Works, unfortunately though, few listened. Recognition is the third element for your Partner to Empower model. It’s crucial that you embody that which you choose to praise and reward. The activities that you recognize, reward, and praise are the activities that will most likely be repeated. During the first six months of 1995, as I traveled the country giving seminars, I asked all the attendees (entry level to executive) to write on an index card the one most important thing that their company or boss could do to improve their loyalty to their company. You might be amazed to know that praise and recognition was offered more than any other answer–much more than money. Tell the Truth about what’s really going on in your company is the fourth key aspect for your Partner to Empower endeavor. In my survey on employee loyalty, this subject was a frequent contender for top honors. Employees want to know which way the wind is blowing at their company. If you hold back information, they will simply “fill in the blanks” and usually what they fill in is far from accurate. Withholding knowledge generally will only serve the one who withholds in retaining power. Power is limitless, unfortunately many think that their power comes from their position. To the contrary, it comes from within–this is true leadership. Net-of-Safety is the fifth element in your conversion to Partner to Empower. If you truly want your employees to actively embrace the activities in the participation section, you must create a climate of safety; nobody desires to get shot down for sticking their neck out in an effort to improve the workings of their organization. When Tony Ciabattoni owned Pacific Business Interiors in Los Angeles, he had PERMISSION cards on his desk for employees to utilize when he was away from the office. If a decision needed to be made in his absence, the permission card was to wart off the possibility of a bottleneck situation slowing company progress. He acknowledged his staff for taking a risk and fully backs their decisions while still retaining the right to suggest that they make a different decision in the future. My alter call to you is this: Will you have permission cards on your desk within the next 30 days? Show your staff that you walk your talk and get the cards today! Enthusiasm toward your employees, their growth, and their risk taking is the sixth necessary element to Partner to Empower. Be excited about the growth of your team, be excited when your people take a risk (regardless of the success). Find that wonder of the world you had as a kid and hold on to it for dear life. If you do, your staff will be infected with your thrill of business and desire to serve customers in a way that will lead to absolute customer satisfaction. Renewal of your commitment to excellence. This reawakening, last in spelling out P A R T N E R but surely not least, is crucial. Your employees are watching your actions much more than they are listening to what you have to say. 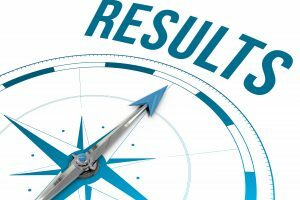 Have a commitment resurrection; your commitment to your employees and your customers. Even if you’ve been a jerk to your staff in the past, today is the eve of a new era for your business. Show the world you’ve experienced a renaissance by your positive actions in spelling out P A R T N E R! Partner to Empower, it’s a choice, it’s a journey, and it’s what will assist you and your employees in building a successful and synergetic relationship. One that will take all involved to greater levels of success–the choice is yours. 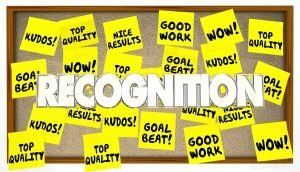 Recognition is how to motivate your employees. Do you fear that today’s employees are sometimes un-motivate-able? Here’s the good news; employee motivation is easier than you might realize. Today’s employees really are motivated through recognition. The key is to understand the various kinds of activities considered to be recognition of an employee’s abilities, hence motivational for today’s employees. A while back I conducted an employee motivation research project while I was traveling North America for the Dun & Bradstreet Foundation delivering full-day public seminars, targeted to business. After several months and hundreds of responses to a simple question, “What can your boss, or your company, do to improve your company loyalty?” It was amazing! Over 50% of the responses were: recognition, or something very similar. Guess what, it is the same today. When you can find a way to help your employees to be part of something bigger than them, they are more engaged and their work has a purpose beyond the daily grind,,that’s recognition. For most of today’s active workforce in North America , this involvement is perceived as recognition. They receive pleasure from participating in something special; a huge marketing and sales campaign, a contest, company reorganization, special research project, community activity, etc. The smart employer that really understands employee motivation gets in front and leads. As an example, a community project might seem like a drain on resources for a small business, but really is a marketing/publicity campaign if administered correctly. Employees are allowed to spend a small amount of company time on the project and encouraged to spend some of their own time doing the same. The innovative business leader finds ways to “spin” the project for publicity which will translate to more community involvement with the company and into increased sales. It has been proven over and over again since the famous “Western Electric’s Hawthorne Works” study conducted by Harvard back in the late 1930s that employee productivity increases when the employees have control over their environment. I wrote about a similar situation that I observed at a Grand Rapids manufacturing company in my first book, “The Art of Partnering.” When employees took over control of the worst production line at the factory, they solved many of the challenges. The line soon became one of the most productive and also desirable among employees to work. In both cases the employees were given the recognition of trust that they could successfully control their work environment. Today’s employees want to be trusted and respected as having something to contribute beyond mindless labor and compliance; and they want it now! For the “Baby Boomer” aged business leader, trust and respect is something that must be earned over a period of time. The natural gap here is the length of time. In order to motivate today’s employees, older business leaders must dramatically speed up their distribution of trust and respect—not a naturally easy thing to do. For many of today’s employees, an employer’s recognition through trust equals respect in their minds; and respect equals belonging. If you can see your way to helping your employees to have an emotional ownership in belonging to the community of your organization, they will see that as recognition and will be motivated to participate at accelerated levels within the “community.” This accelerated participation, if channeled correctly, will mean accelerated productivity. It goes without saying that you have to pay (total package) your employees well. If you do not, your competitors will. However, beyond the compensation package, you will find a myriad of opportunities to show appreciation for the value employees deliver to your organization. Find, discover, and develop appreciation (recognition) in conduits with legs. When you hand out cash recognitions, the cash disappears instantly and is forgotten almost as quickly. Let’s say that you gave an employee $200. There are a number of consumable niceties that they could instantly enjoy—then they simply want more cash. Or, perhaps take that same $200 and have your company logo embroidered on the back of a trendy leather jacket. Give the jacket to that same employee. How long to you think they will enjoy the jacket? Most likely for years, and every time they wear the jacket it is a reminder of your appreciation for their work. By the way, whatever you select as recognitions, make sure those items are not available to employees through purchase. Give them what they cannot but. Recognition for today’s employees need not be elusive to employers. To motivate today’s employees, recognitions must be thought-out and implemented with the same care as a military operation; innovate, research, decide, organize, and implement. Do these things any you will motivate your employees to do more and be more than you had previously considered possible.